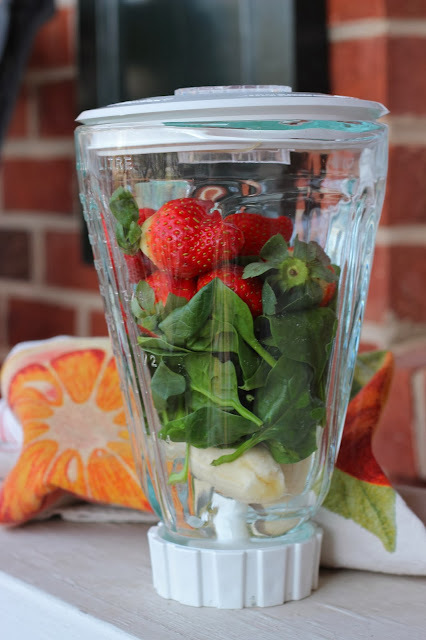 After the holiday eating and being sick, I was eager to make smoothies with the strawberries and spinach that I'd picked up at the farmers market. 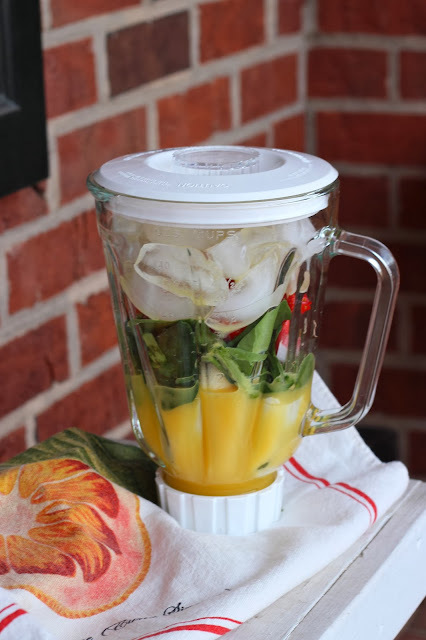 I typically start with the softest ingredients on the bottom and place the heavier, denser ingredients in the middle, with ice on the top, and liquid in last. This recipe made two servings. I went a little heavy on the orange juice. I usually throw in whatever I have on hand for smoothies; some of my other favorites ingredients are: blueberries, plain greek yogurt, almond milk, peanut butter, and oats. I got this Tervis tumbler in my stocking. You can never have enough Tervis tumblers, and, well, we already had all of the other ECU designs. Do you drink smoothies? What are your favorite ingredients? 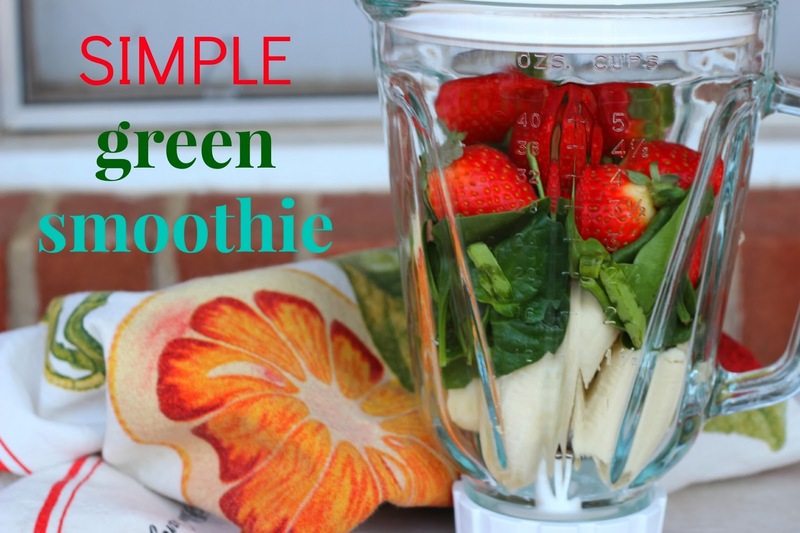 Smoothies are a great snack or even a meal. I have smoothies for breakfast all the time, add in yogurt to make it a little more filling. I also use echinacea powder to boost my immune system. 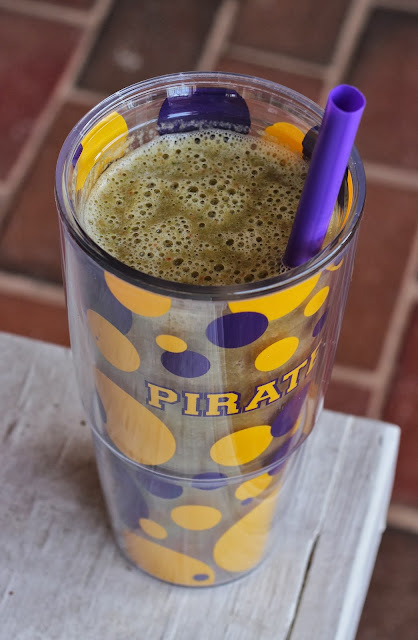 If you're feeling "green", kale also is good to throw in a smoothie with some pineapple and coconut milk. I like getting smoothies at Planet Smoothie with pineapple, but don't make them at home. I will have to try that and kale! Could you taste the spinach at all??? i love smoothies too! if i'm needing a choc one i've done vanilla yogurt, banana, oats & a scoop of nutella with ice and its good. I don't taste the spinach unless I put more spinach than other ingredients. The orange juice flavor overpowered it for sure in this one. Your chocolate smoothie sounds delicious!